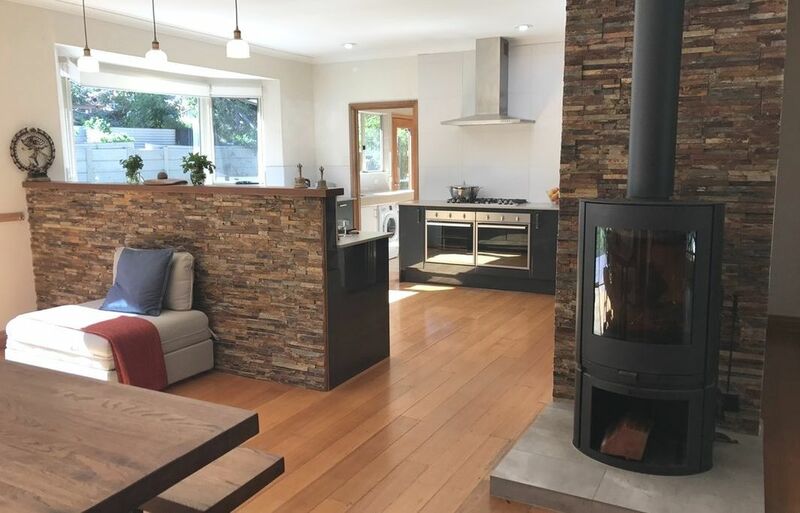 28 Feb - 4 March 2019 4 nights residential retreat over the March long weekend (Thursday 4pm - Monday 2pm). An inspiring program of yoga, meditation, healing, sound healing and high-vibration vegan healing foods. 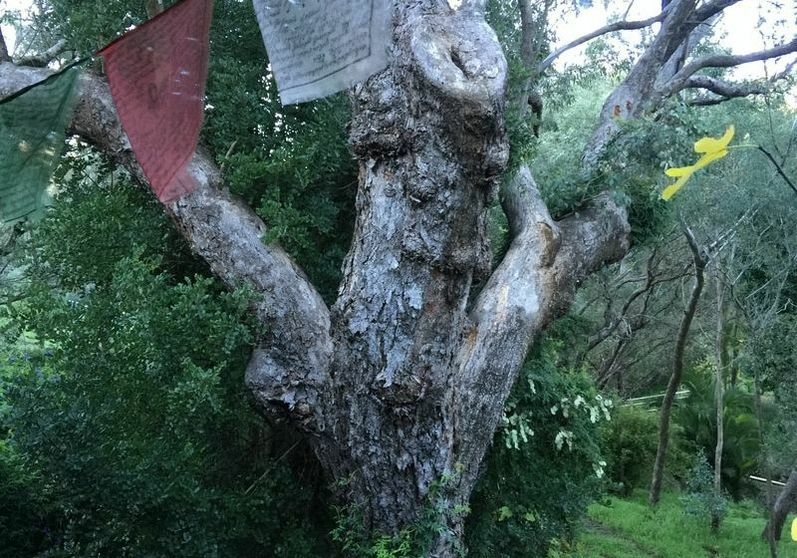 The transformative program is focussed on rediscovering and reconnecting with the spiritual heart of nature through through puja, prayer, sacred mantras and the direct healing transmission from being amongst the trees. 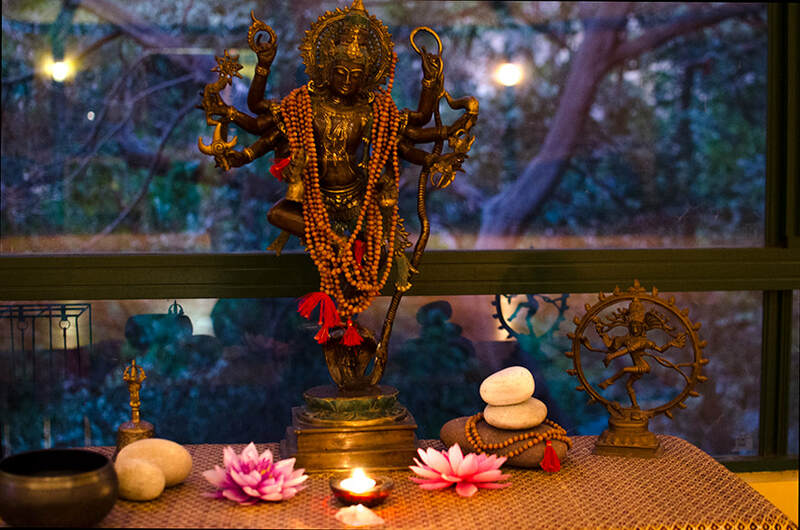 This retreat falls on Shivaratri and we celebrate both the divine masculine (shiva) and feminine (shakti) aspects within our hearts to restore radiance, healing, love and balance within our hearts and for the earth. Suitable for experienced & new yogis who'd like to experience a yogic way of life for a few days. 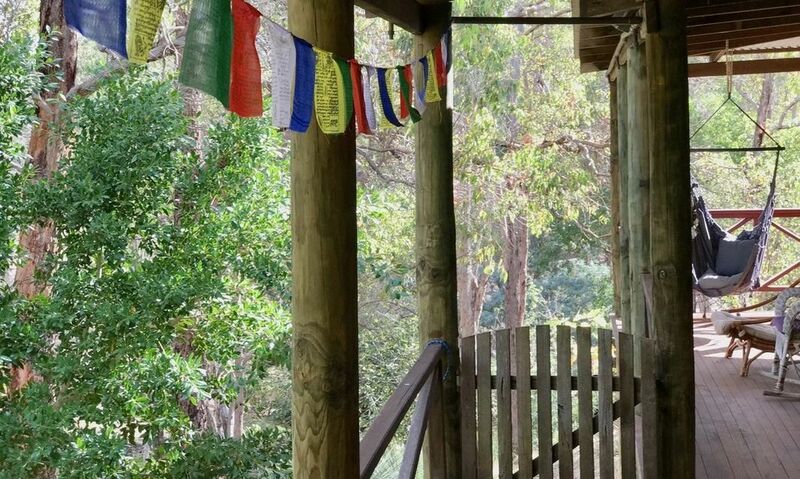 If you would like a peaceful, immersive yoga retreat with a spiritual focus, close to Perth, this March long weekend you're invited to Kookaburra Creek in the Perth hills for the 4 night Radiance Yoga & Meditation Retreat. 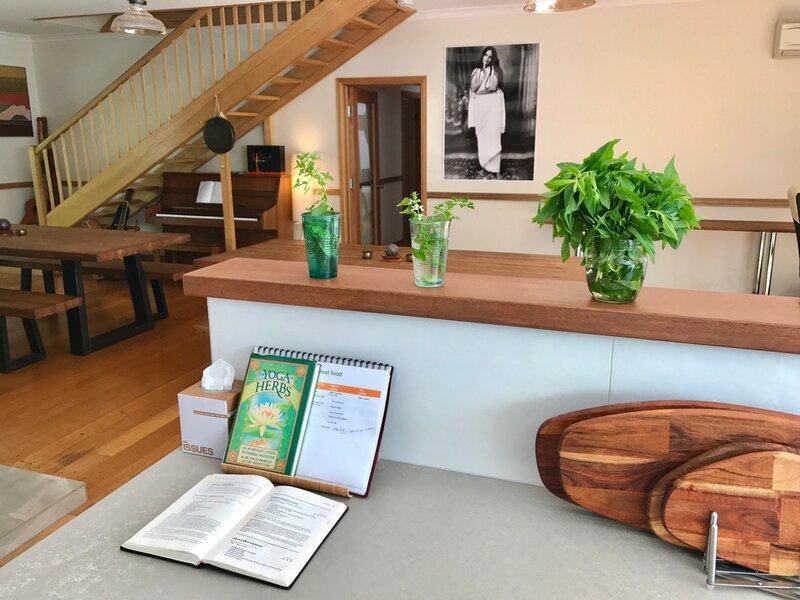 Kookaburra Yoga directors and long-time teachers Robert and Mandy will lead you through the soul-centred practices of traditional yoga, focussing on the healing, transformative and supportive aspects of yoga, with practical information to take away & integrate into daily life. The retreat falls on Shivaratri, a joyous celebration of Lord Shiva, and all of creation. 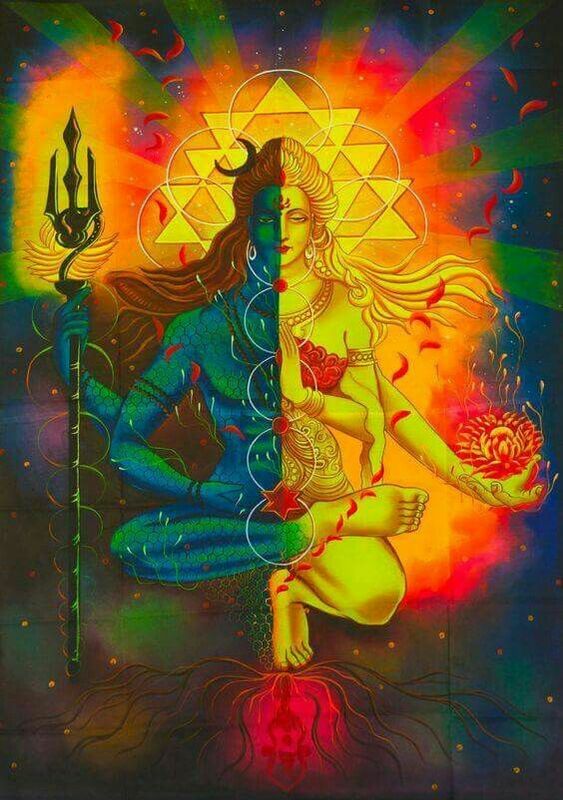 Our practices are drawn from the Radiance Sutras (Vijnana Bhairava Tantra), a shimmering dialogue between Shiva and Shakti about the nature of life, the human heart and simple practices to understand and appreciate the beauty and intricacy of the inner and outer worlds. We celebrate the divine feminine in all its forms. In particular here at Kookaburra Creek, surrounded as we are by the intricate beauty of the natural world, we celebrate Bhu Devi, that aspect of divinity known in all cultures around the world as the earth goddess or Mother Earth.There is no more important time in human history to honour, respect and celebrate the wonders and beauty of nature and we do this together over our weekend retreat in a very special way. A way that has the power to transform not only our own relationship with nature but also to heal and repair the essential and fragile balance of life in all its forms. 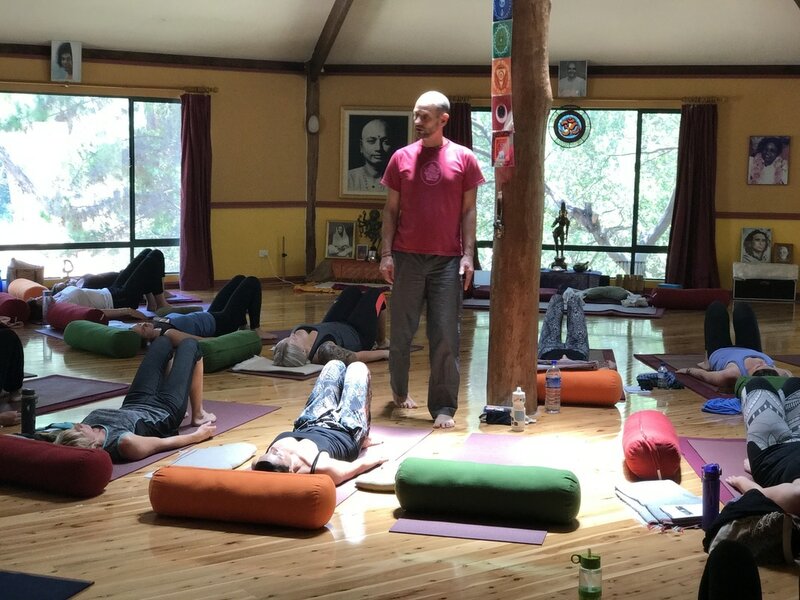 This retreat is open to everyone offering newer students insight and guidance into beginning yoga and experienced students greater depth and refinement to an established practice. 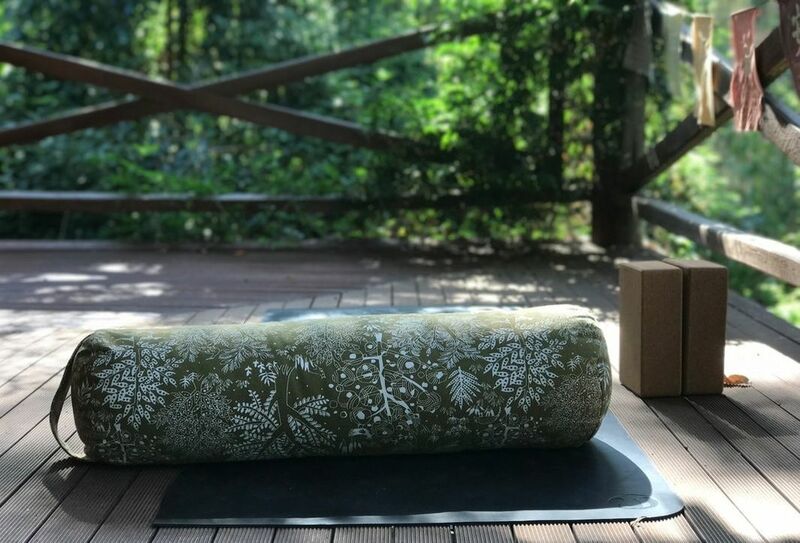 a beautiful long weekend retreat program to rekindle the inner light and creative spirit ​through yoga, meditation, nature, ritual and reflection. 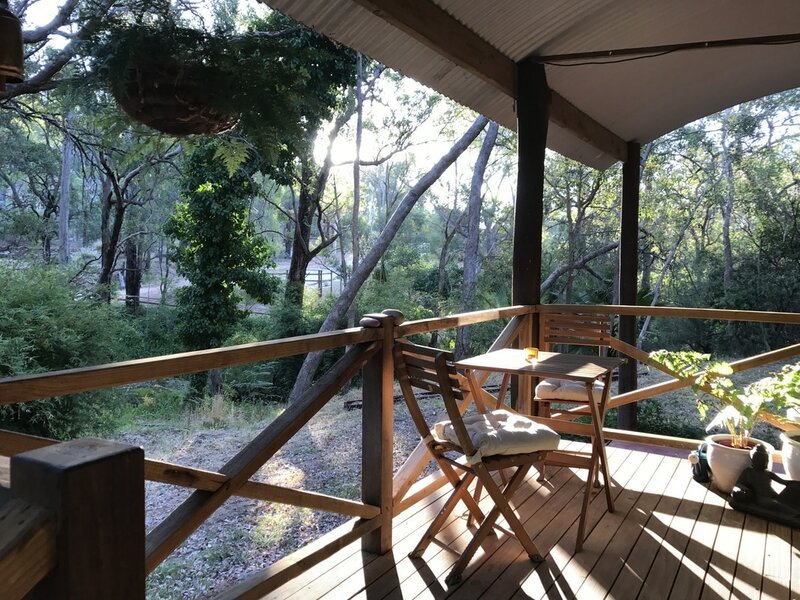 Kookaburra Yoga Retreats include a generous balance of yoga, meditation, relaxation, pranayama, knowledge-based sharing, time in nature and opportunities for deep immersion into the yogic lifestyle. 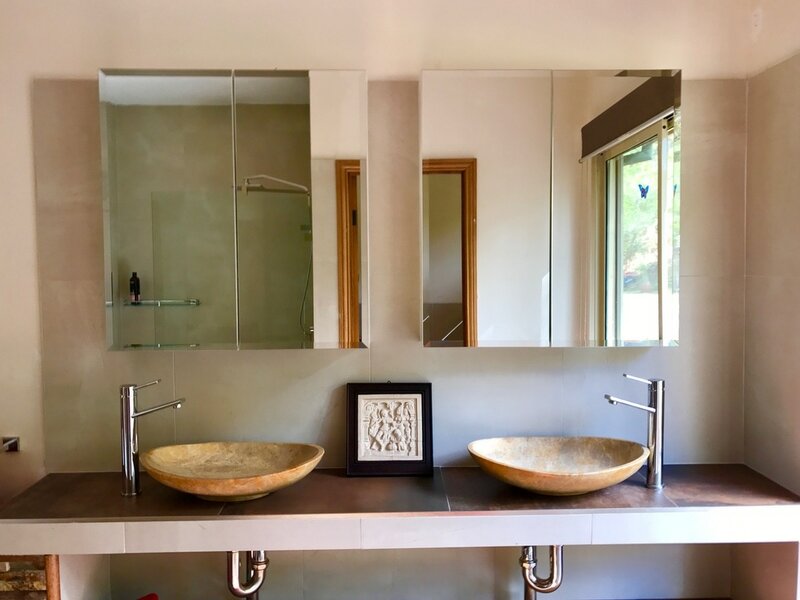 Sivananda's traditional hatha yoga is comprised of 5 distinct points which together comprise a balanced and holistic system of self-care and self-awareness. 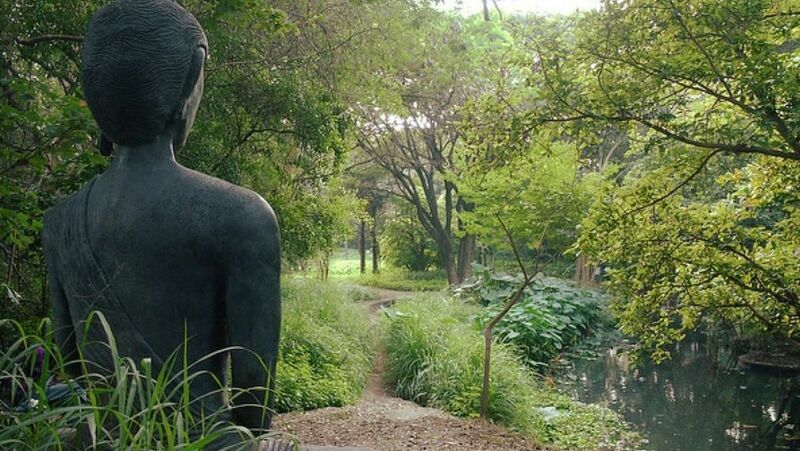 On your retreat you experience and live them all including proper exercise (yoga asana); proper breathing (pranayama); proper relaxation (yoga nidra); proper thinking (meditation); proper diet and lifestyle (sattvic/peaceful food, time in nature). When practiced with sincerity and integrated into everyday life and everyday thinking, traditional yoga perfectly and effortlessly brings balance and harmony to the 5 aspects of self: the body, breath, mind/emotions, wisdom and soul. Mahashivaratri ‘the Great night of Shiva’ is Monday 4th March. For those of us who practice yoga this is an opportunity to acknowledge and pay homage to the founder and first Guru of yoga, Lord Shiva and the vast and incredible body of knowledge which was bestowed upon him 15,000 years ago, and then shared with his wife Parvati and then the first seven sages, and then the various sages, saints, teachers and students through the millennia to us, now, in this moment. 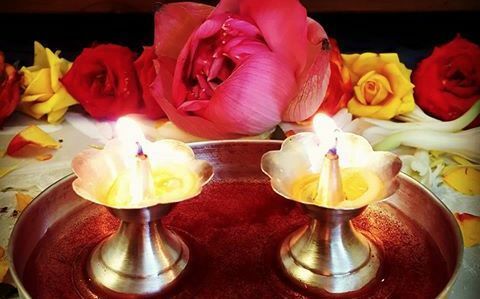 Traditionally on this night the name of Shiva is chanted, prayers are offered, pujas performed and an all night vigil kept - with the aim of overcoming darkness and ignorance and connecting with the pure, free and joyous ‘state’ of Shiva within ourselves. Our practices are drawn from the Radiance Sutras (Vijnana Bhairava Tantra), a dialogue between Shiva and Shakti. Not only is our focus on Shiva, we also acknowledge and learn to embody the grace, softness and fierceness of the Divine Feminine in the form of Bhu Devi, the Earth Goddess who rules the nature spirits, arising from gratitude and devotion. She is often prayed to in order to gain wealth or material gain but this is a basic misunderstanding based on a distortion of the divine feminine by the masculine principle. ​Patriarchal western culture, with its emphasis on continual and unsustainable economic growth, has usurped this subtle beauty and overlaid it with a grabbing sense of possession. We have been conditioned to try to own it for our personal and individual gain, clinging and holding onto wealth in greed and selfishness. We see the tragic results of this in the destruction of our precious planet, obesity and starvation is almost equal measure, the looming climate crisis and ruthless business practices that justify all means in the pursuit of so called growth. Our puja and prayers help to set things back in balance. Through Bhu Devi we remind ourselves and through the vibrations we produce, those around us, of the mystery and wonder of self regenerating life and the boundless abundance of nature on which we are entirely dependent for our lives, true happiness, fulfilment and well being. We discover and share the most powerful of all the sacred mantras and so in the process, transform ourselves. Those around us cannot help but be uplifted too. Join us for this transformative 4 day retreat. Be the change, now more than ever, we as a human species, need to see. To keep vigil means to stay awake at times we would normally sleep - to keep watch, to pray, to meditate - on the eve of a holy day. Traditionally on Shivaratri, devotees stay awake to chant the name of Shiva continuously for a day and night (akhanda kirtan) while fasting. 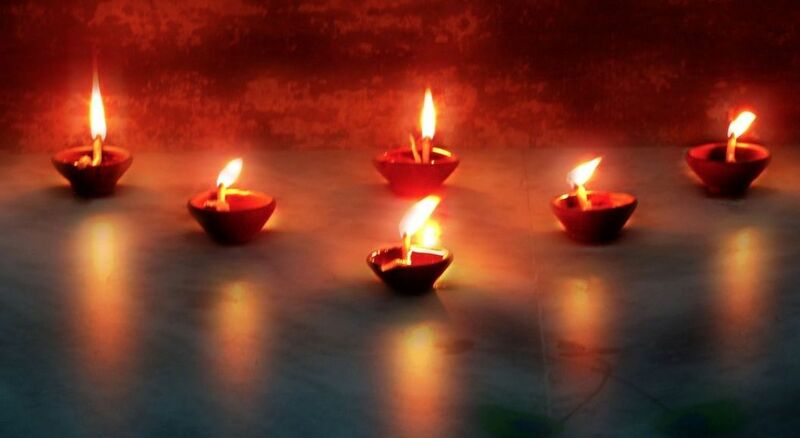 It's also an opportunity to look inwards at those aspects of our lives we could shed and renew - to rise up and shine, and reflect on the deeper spiritual meaning of Shivarartri - the endurance and permanence of the inner divine spirit and renewal of the inner light. Within each of us, there is always an interplay of both 'darkness' and 'light', of masculine, feminine, of strength, softness etc. The practices of yoga lead us through these polarities to discover the brilliant, unwavering inner light which is our soul. We begin our retreat process with an acknowledgement of the darkness within the world and our own hearts. 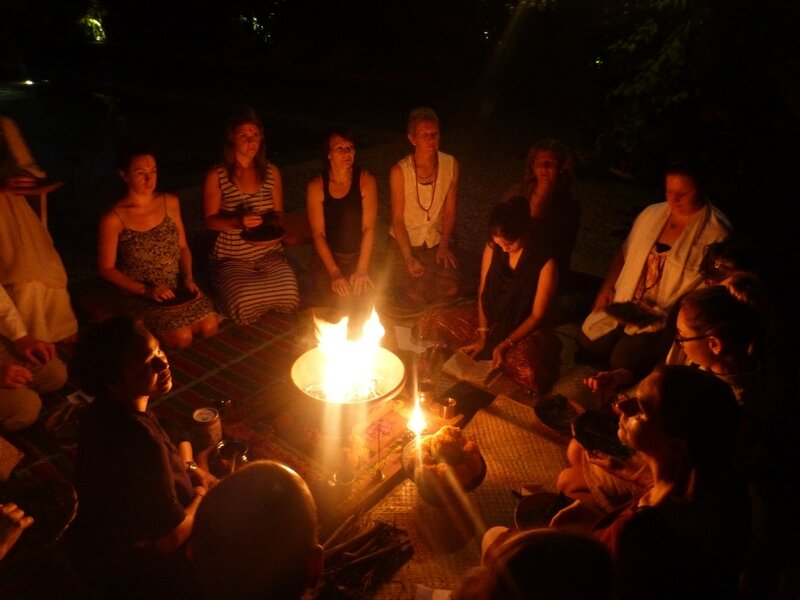 We light a bonfire and chant together the sacred and beautiful Mahamrityujaya Mantra offering those aspects we wish to shed or transform to the flames. 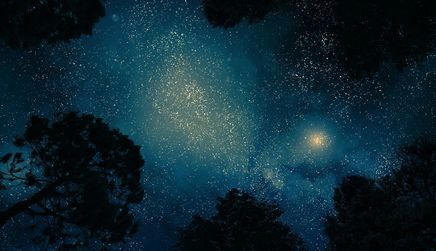 We meditate under the light of the stars, keeping the purifying flame alight within our awakened hearts. We listen with quiet minds to the messages of surrender, love and grace which flow into and through us. 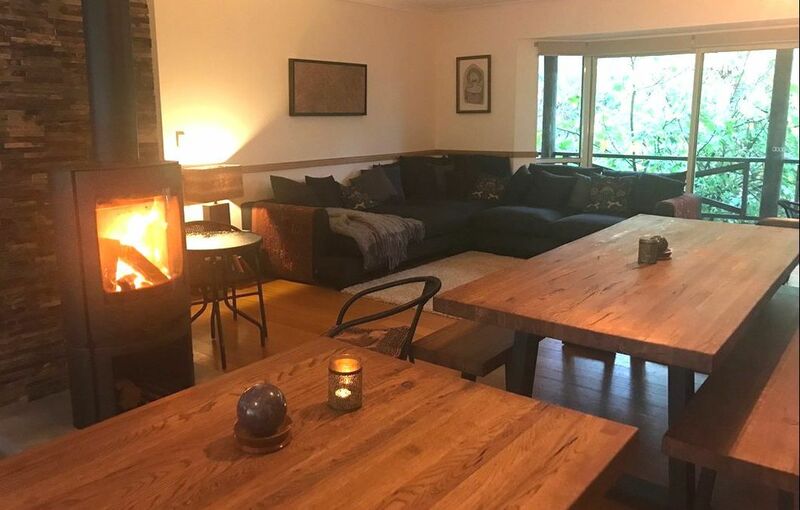 This sets the tone and mood for our retreat - delving directly and deeply into the spiritual yogic traditions which deepen our connection with our own inner nature, and the healing and peaceful forest around us. • Pay 50% deposit when booking. Pay balance by 20th February. • 3 month payment plans with monthly instalments available. 3 nights stay in shared room. Rooms are comfortable each with 2 or more beds. 3 nights stay in your own tent, bring your own bedding. Full use of facilities during program. 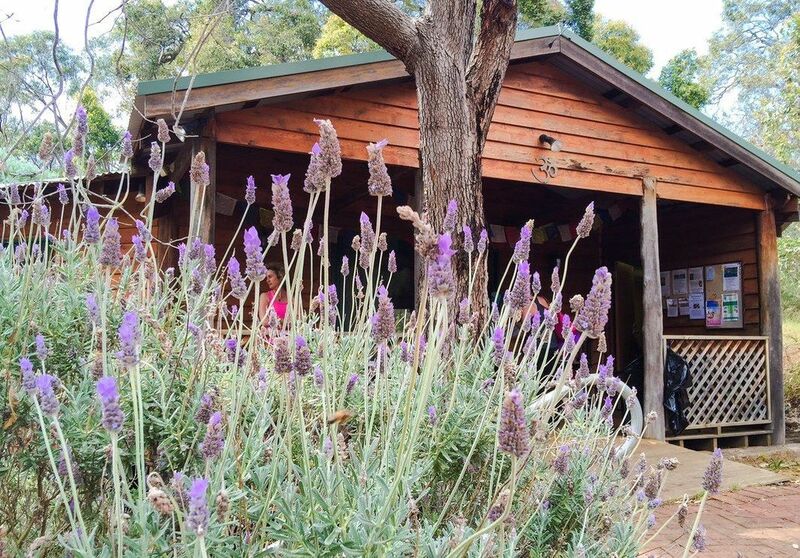 Kookaburra Creek Yoga Centre was created as a sanctuary for seekers to experience the profound depths of true yoga. The centre has been blessed by our spiritual gurus who's presence, wisdom and influence infuse the program and teachings. The centre and grounds are a beautiful, pristine and vital environment which supports, replenishes and holds you during your retreat. 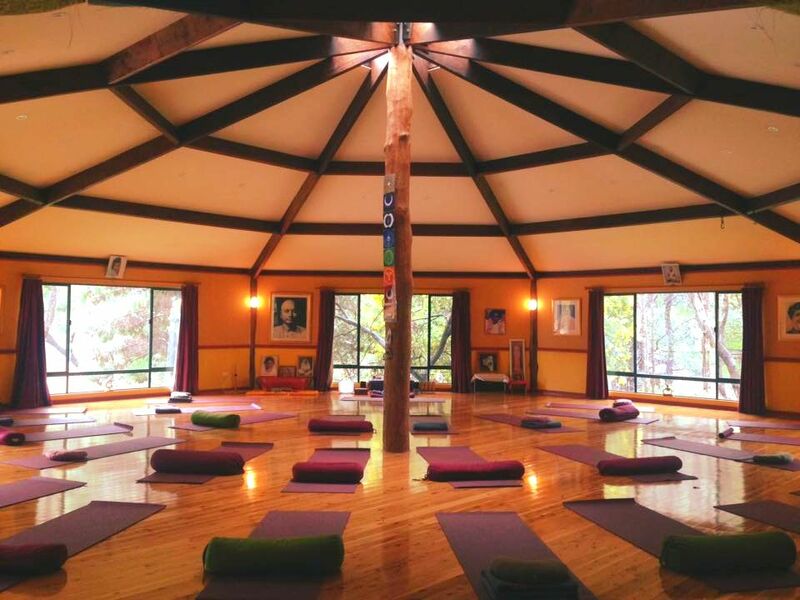 The retreat program is designed to inspire, awaken and transform. Transformation happens at a subtle level - the consciousness becomes more subtle, able to perceive more directly. There may be a cathartic release of what is unreal which can be temporarily intense. 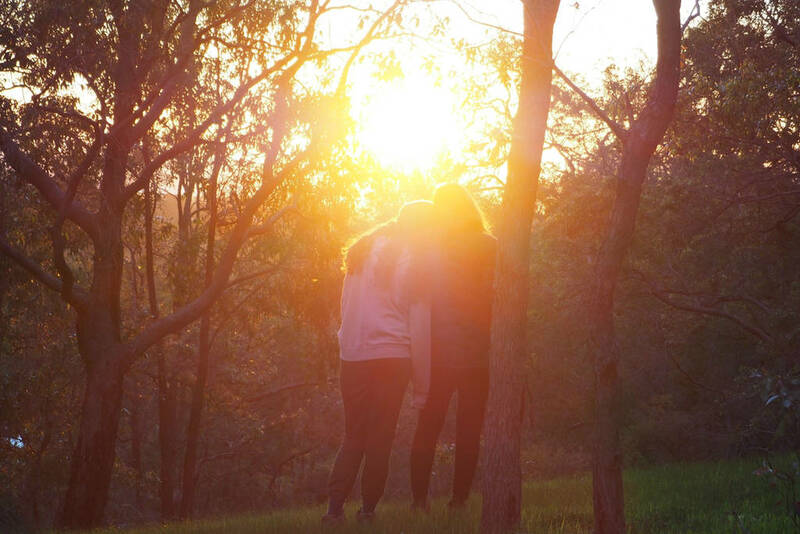 A guided, professionally facilitated retreat provides you with the supportive framework to identify and release the pains you carry, enabling you to experience the joy of being. We establish a rhythm and routine which bring immediate calmness to the body, mind and soul. 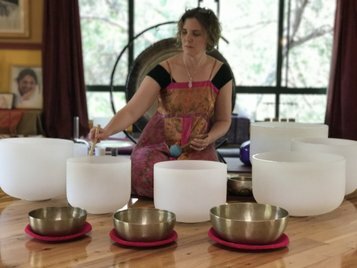 The schedule for your days and evenings is taken care of, allowing you to relax deeply, immersing yourself in the program and the retreat process. The program includes yoga and meditation into the night, which is balanced by restful periods during the day. You'll fall asleep to the sounds of the forest. We unplug from technology, computers, phones, devices and social media for the weekend. By all means bring a book (paper), camera, and provide loved ones with our landline for emergencies. With our focus consciously tuned to experience the present moment, the natural world and our own inner nature we are able to begin the recovery and reintegration of our fragmented attention. Agni Hotra is a purifying vedic fire ceremony performed exactly at sunset and sunrise. The ceremony, which includes burning cow dung and chanting mantras, is purifying to both the environment and to participants. You'll have the time and the opportunity to get to know and share with others if you wish to. We have some lovely big common areas to relax and mingle. This is balanced with periods of mouna where we keep company with others while maintaining a respectful silence. 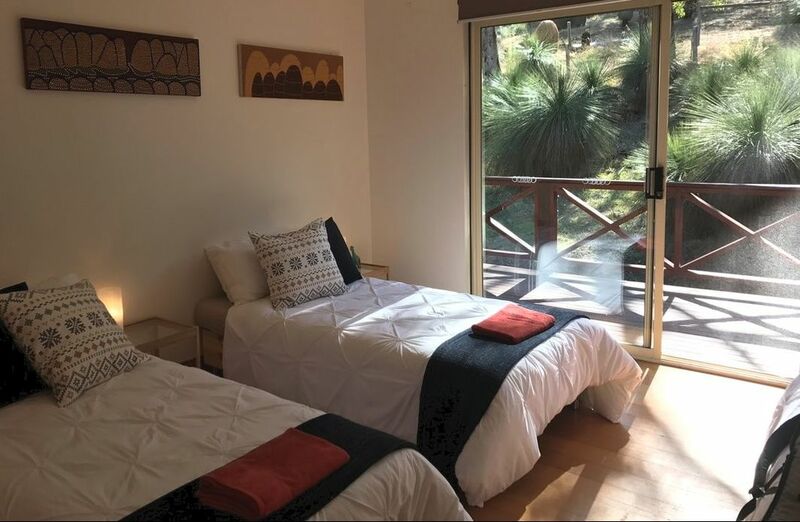 Retreat accommodation includes comfortable shared rooms in the beautifully refurbished retreat centre. 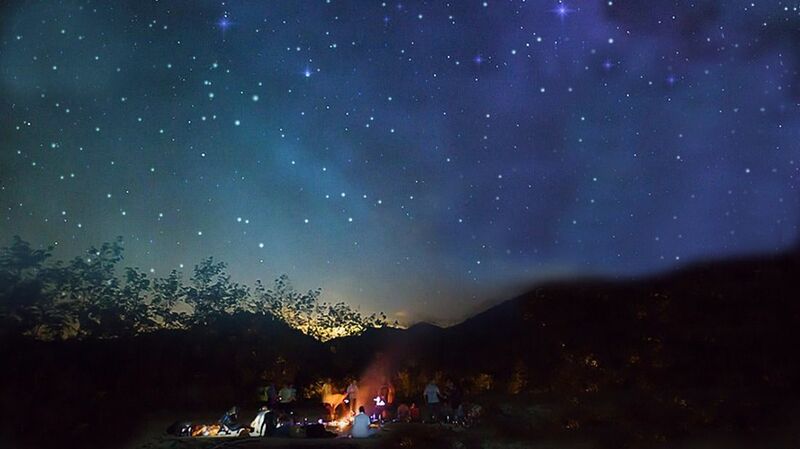 You might choose to camp, sleeping under the stars or stay offsite in your own accommodation. 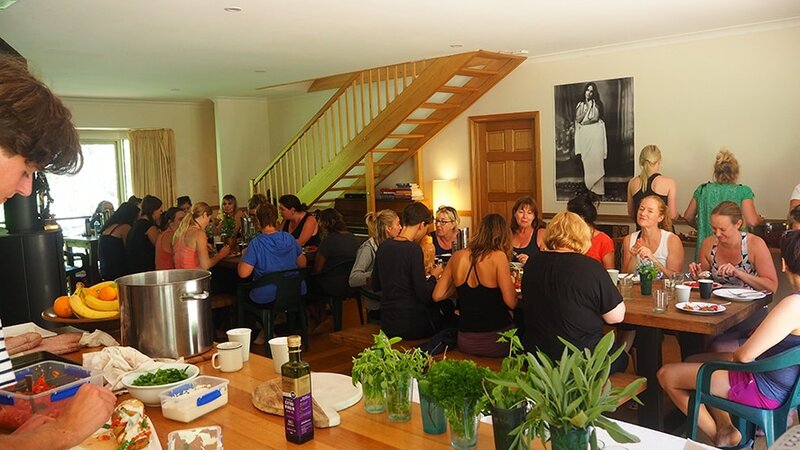 Food on this retreat is sattvic - meaning it brings peace and enhances the wellbeing of the body, mind and spirit. 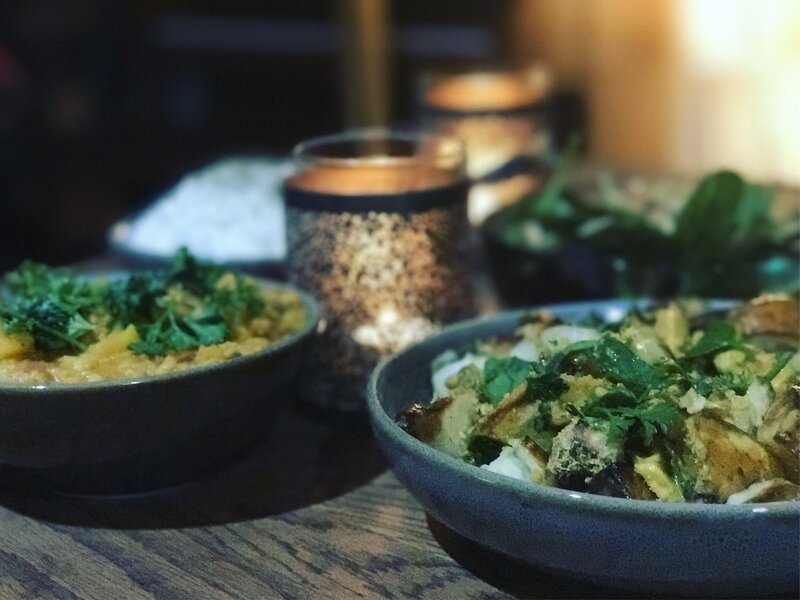 All food is plant-based, predominantly organic with much of the produce coming from our own kitchen garden. 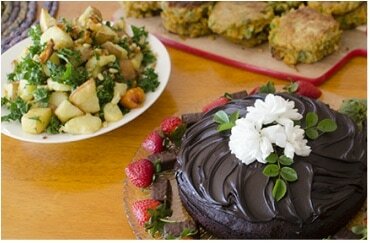 All cuisine is completely vegan and gluten-free, and is sustainable, pure and real - supporting your body to detox, cleanse and heal. 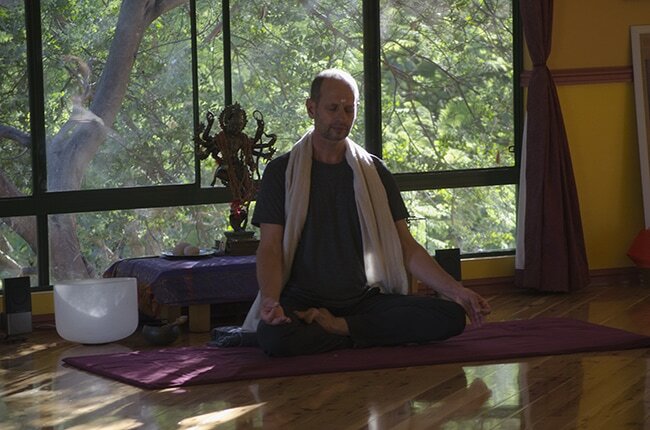 Robert has taught yoga and inspired many thousands of students over almost 4 decades here in Australia, and also India, Africa and Europe. Robert is a humble teacher, his yoga is deeply spiritual and real and he is committed to sharing and passing forward the insights and knowledge he has acquired. Robert has a Masters in Psychiatric Social Work and is a professional and skilful group facilitator and spiritual guide. Mandy has decades of experience teaching the subtle, powerful and transformational methods of yoga. Her knowledge and insights have been inspired through devotion, consistent practice and learning, and integration of yogic values and concepts into everyday family and professional life. 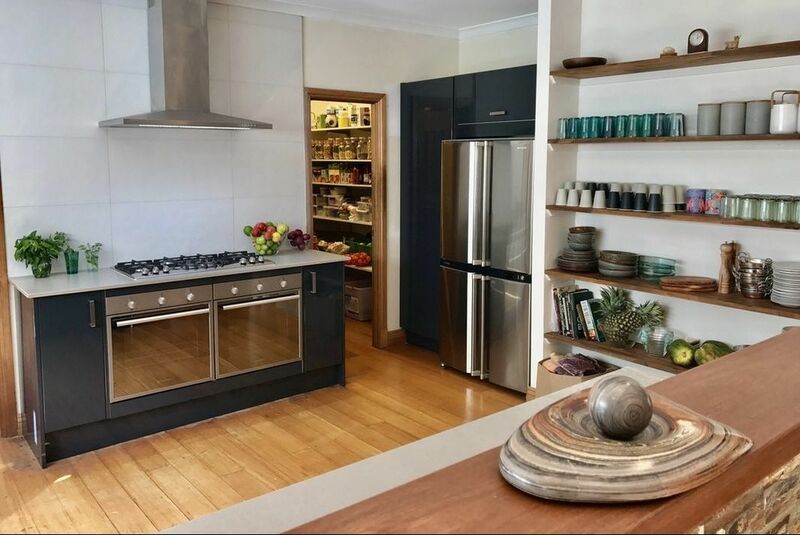 She designs and facilitates Kookaburra Yoga's local and internationl retreats and programs, is a skillful Ayurvedic cook, and mentors young teachers and students. 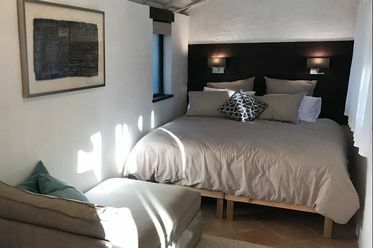 The residential retreat facility is in separate buildings on the property including the primary residence (accommodation for 15 participants), and two renovated and enclosed gazebos (accommodation for 2 in each gazebo). The grounds and facilities are also suitable for those who may wish to camp in their own tent. Camp sites are close to bathrooms and facilities. Your booking and deposit confirms your place, meaning other people cannot book it. Therefore the deposit is non-refundable. ​If we have a waitlist and can fill your place from this, all money paid (except for deposit) will be refunded to you regardless of when you cancel. You should be fine to attend a if you are in reasonable health. Please check with your own health care provider if you have any concerns or doubts. If you get sick during the retreat, an after hours locum doctor (bulk billed) or you can attend the Armadale Hospital Emergency Department (24 hours emergency) which is 5 minutes by car.